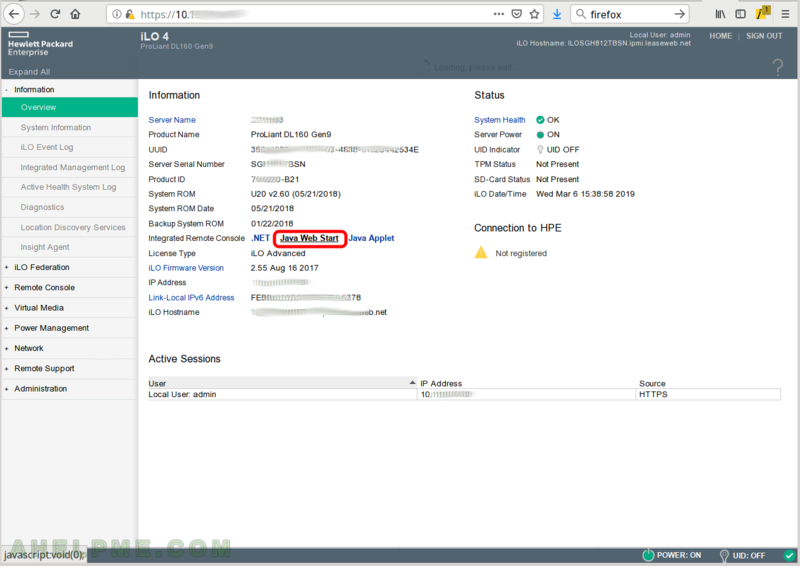 Review of Smart Array P440 on a server HP ProLiant DL160 Gen9 using iLO – create, modify, delete array and view controller settings | Any IT here? Help Me! SCREENSHOT 2) The first page when you log in. 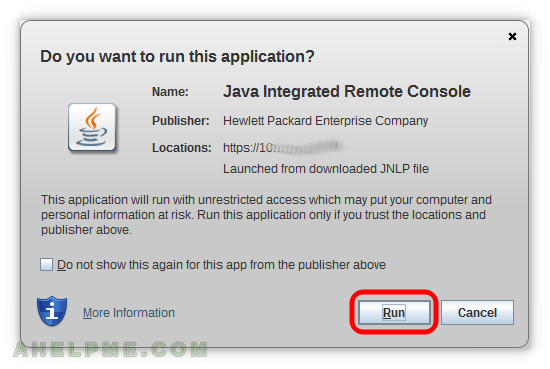 Click on “Java Web Start” to start the java application for the KVM. Two other options are still available like a .NET client and a java applet. 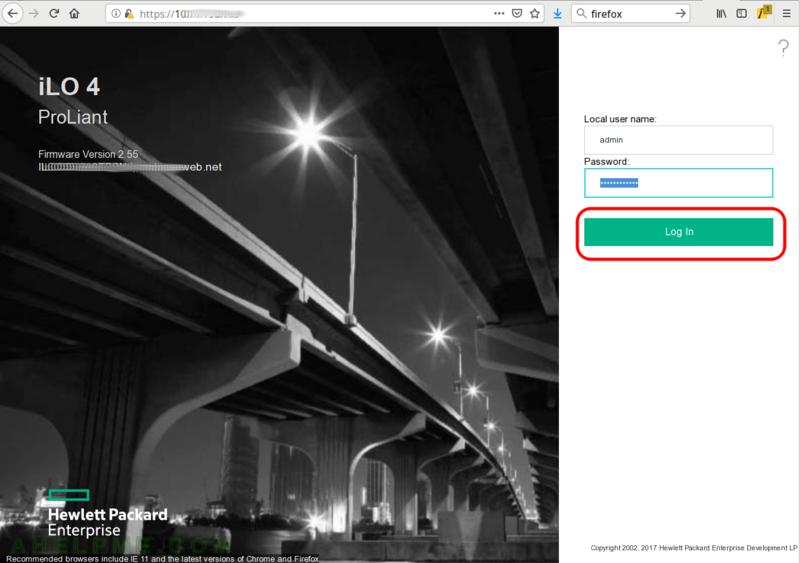 SCREENSHOT 3) Open the iLO-jirc.jnpl with Java Web Start. 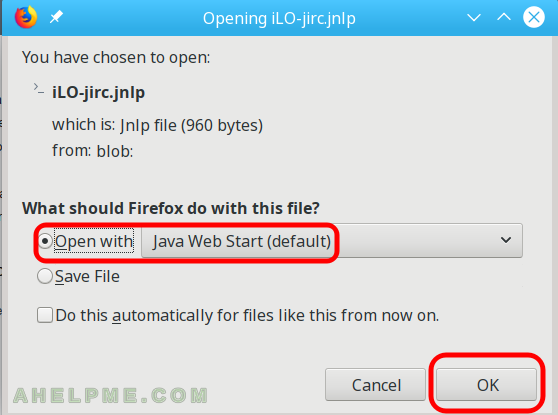 It should be your default or if not you can save the file and open Java Web Start file. 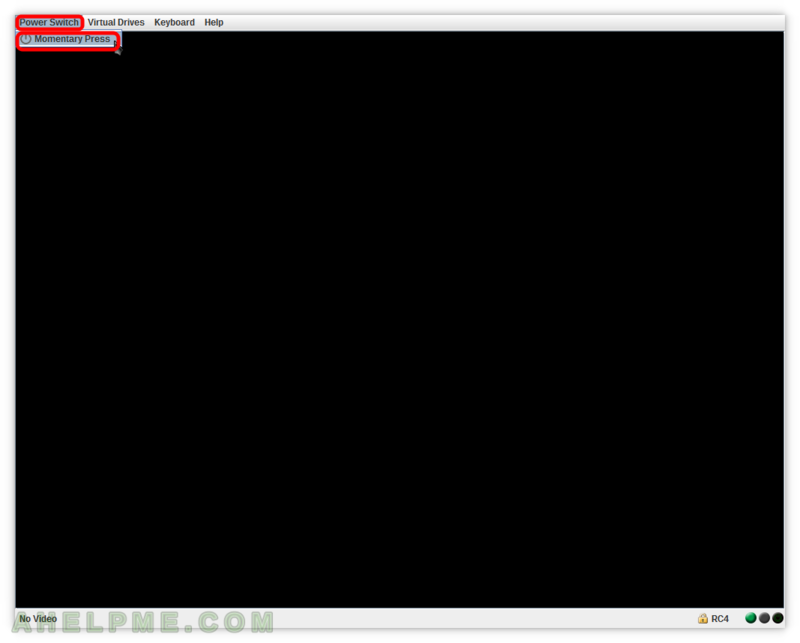 SCREENSHOT 4) Confirmation is needed to open a jnpl file from the Internet. SCREENSHOT 5) Additional confirmation is needed if the certificate is invalid (in most cases when using KVMs). SCREENSHOT 6) Power On the server. Click on “Power Switch” and then “Momentary Press”. 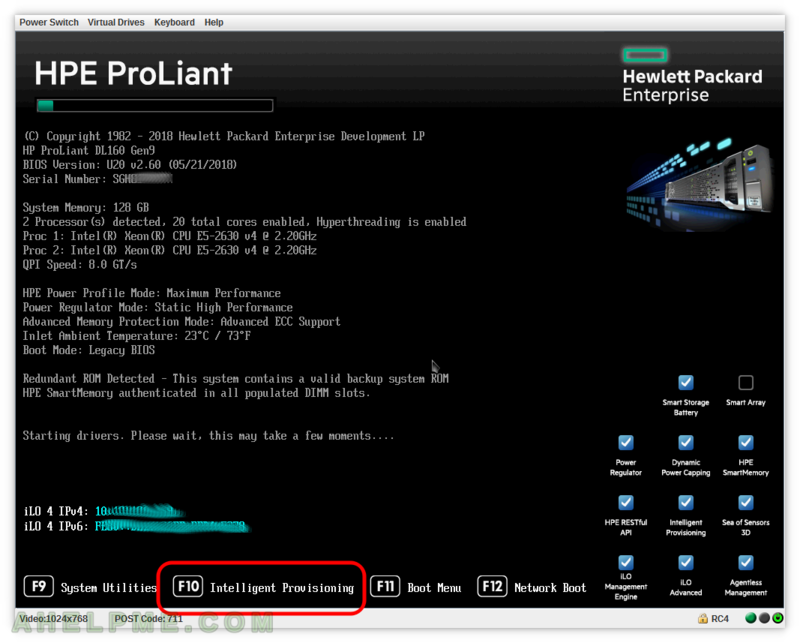 SCREENSHOT 7) The server HP ProLiant DL160 Gen9 initializes all hardware components. There is progress you can watch. 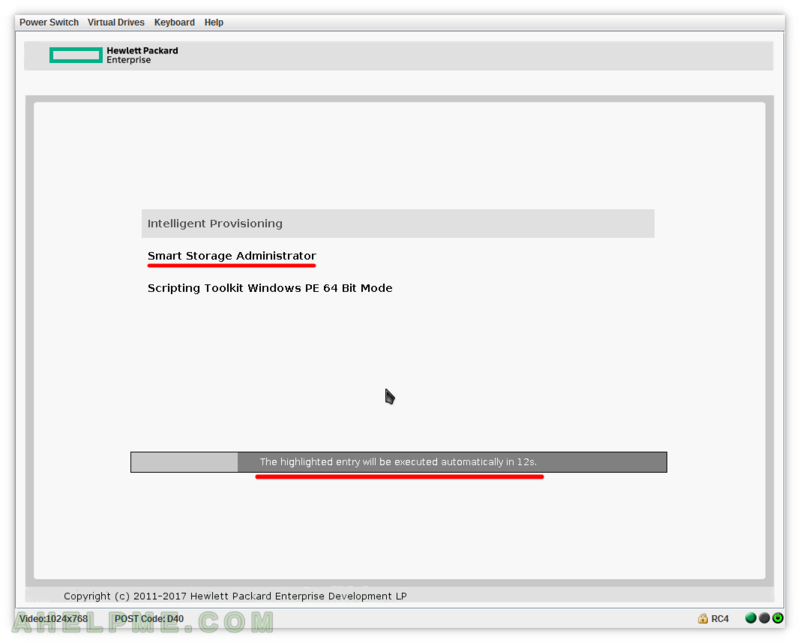 SCREENSHOT 8) The graphical user interface of the HP management utility for disk manipulation is called “Smart Storage Administrator” and is part of the “Intelligent Provisioning” menu. 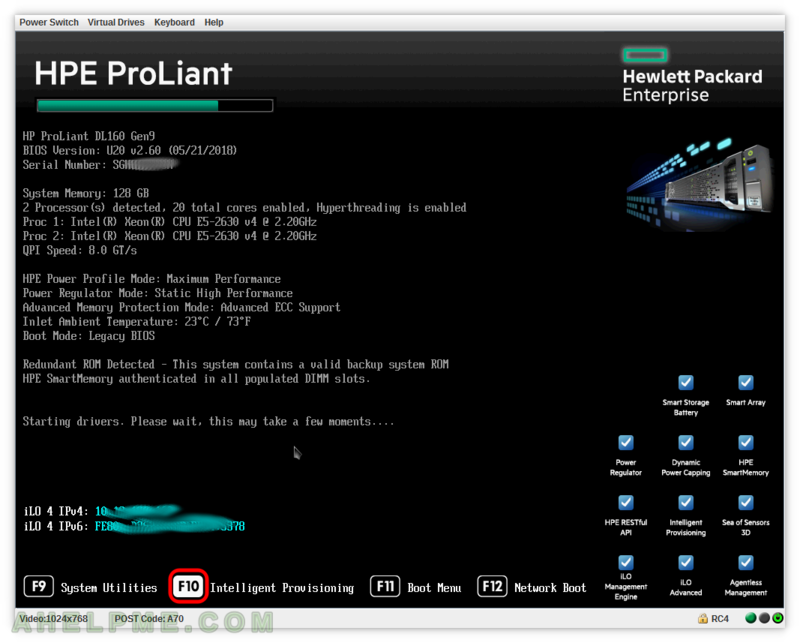 SCREENSHOT 9) The “F10” should be white if selected properly. 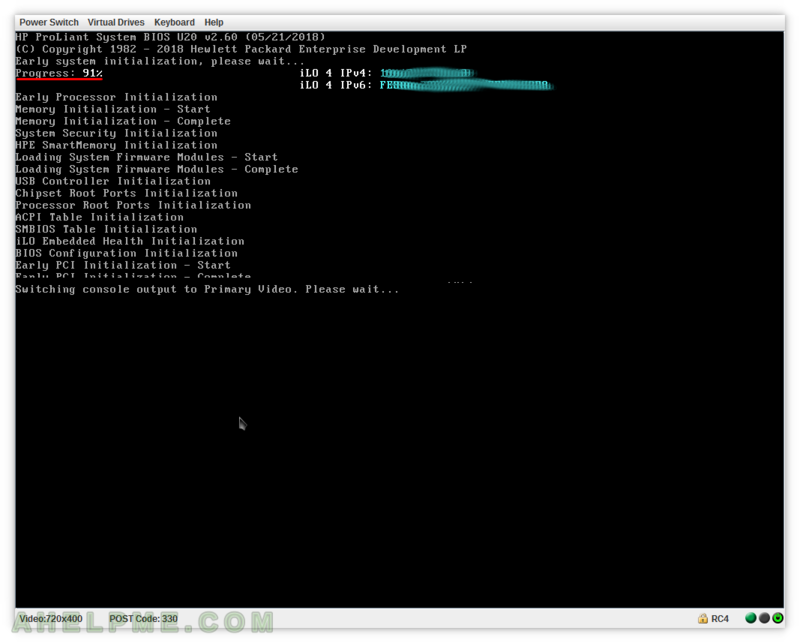 You must click on “Smart Storage Administrator” or go with arrow down and press Enter to start it.